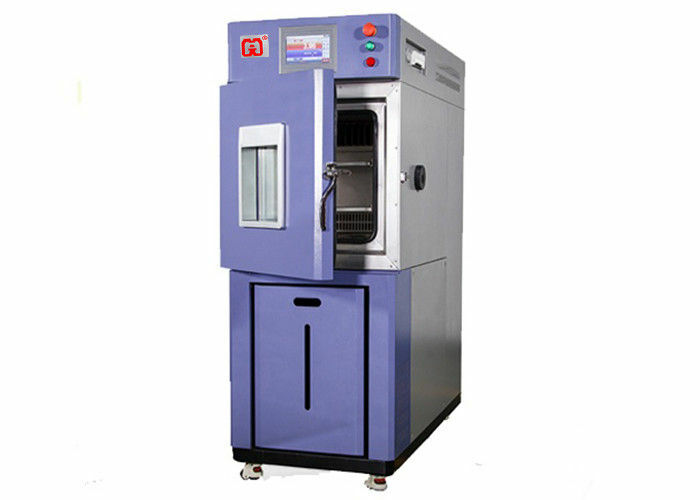 Gaoge series temperature and humidity chamber offer a wide range of standard and custom solutions for any testing program. 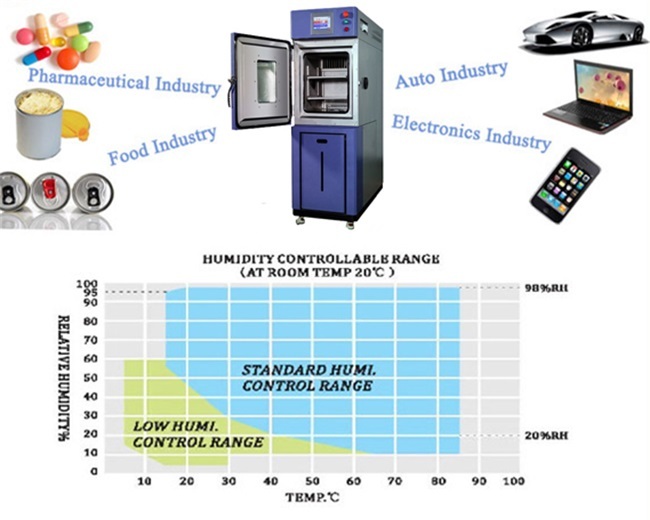 Environmental testing with a humidity chamber helps improve product reliability and durability. our chambers are available in a variety of styles, sizes, and performance configurations. All chambers come with a standard temperature range for combined temperature and humidity testing. A temperature and humidity cycling chamber ideal for simulating a wide range of temperature and humidity conditions. 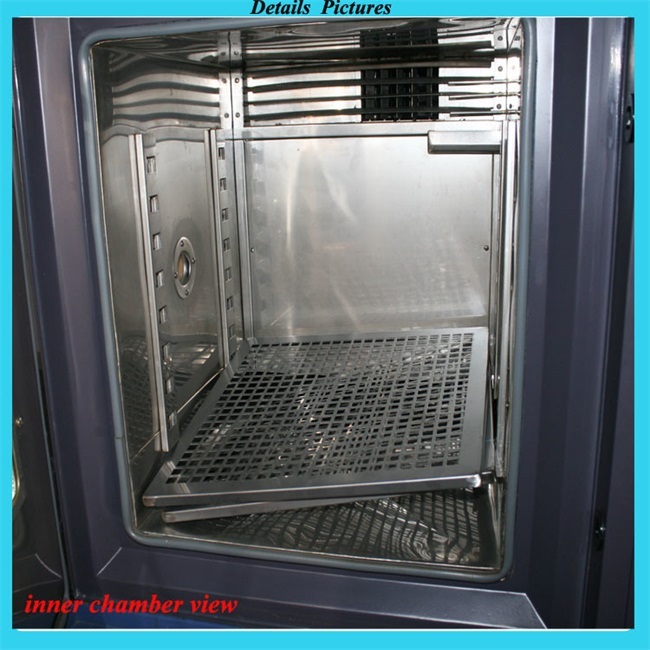 This temperature and humidity chamber is designed for mobility and to save on floor space. 1. Chamber exterior material is stainless steel with environmentally baking paint resists corrosion and provides impact resistance. Interior material is SUS304# stainless steel with excellent heat resistance and easy to clean. 2. large LCD color touch screen controller is designed to save chamber programming and setup time with temperature limit and alarm to protect your product. 3. Safety relay connection is provided to protect your device under test by removing power to it when the chamber is not running. 4. RS-232 communications is for computer connection, programming can be set on computer by software, monitor testing process and automatically execute power on/off functions. 5. Fog-free viewing window and interior light makes viewing workspace freely and observe the test under best conditions. 6. Adjustable product shelf slides out for easier product access. Shelf design is non-tipping and supports large product loads. 7. Left side of chamber with diameter 50mm cable port for power-on test. 8. Optional electronic humidity sensor is used on all test chambers for accuracy and minimal maintenance. 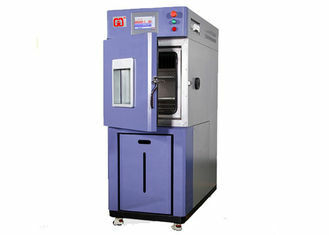 Temperature and humidity test chambers applied to all kinds of Industries. To improve products quality according to test results. 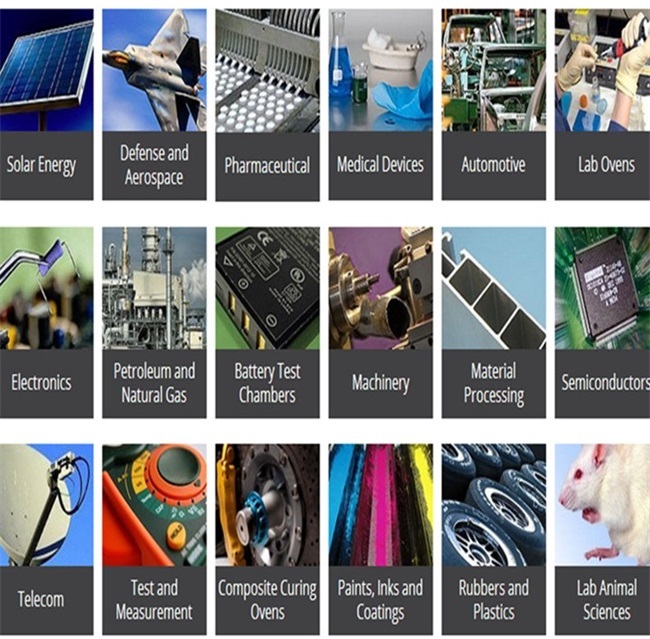 Testing metal related industries like plating etc.